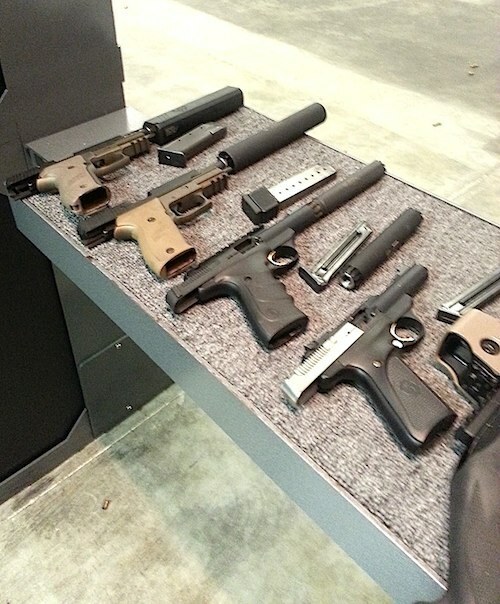 Eagle Gun Range in Lewisville celebrated their one-year anniversary from Friday Oct. 25 through Sunday Oct. 27. I was on site for most of the three days and this post summarizes the event. 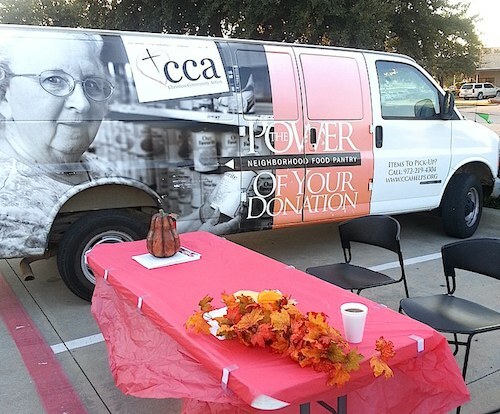 The free, hot breakfast was greatly appreciated on this rather brisk morning. I arrived about 7:30 AM and filled up on hot food and coffee 🙂 The range opened early at 8AM for those wanting to get in some practice time. 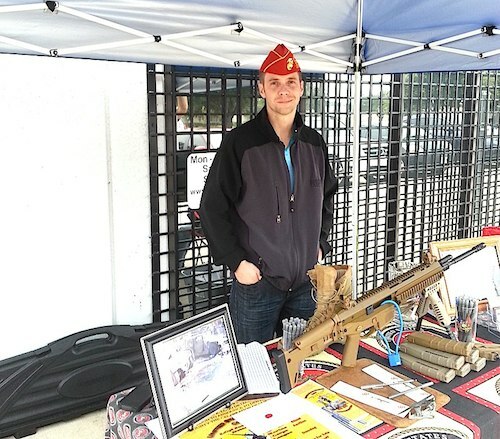 There were quite a few interesting firearms spread out in bay two, The first raffle began at 9AM and every hour, Eagle raffled off items ranging from T-shirts to cleaning kits. 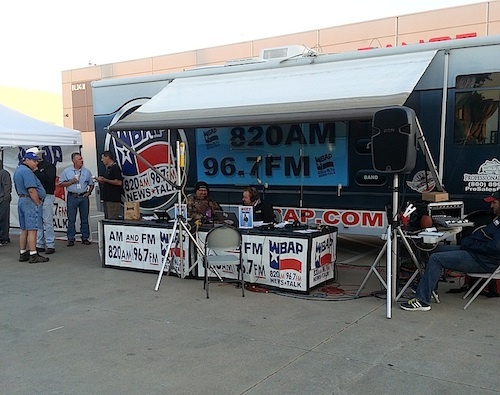 WBAP broadcasted from the parking lot for a couple hours and they gave away some nice swag. 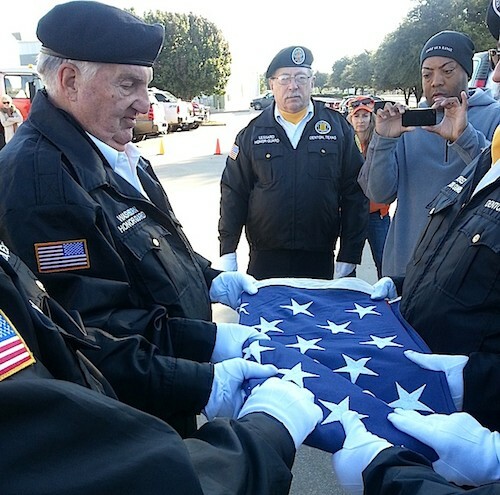 For me, though, the highlight of the morning was the veteran’s group folding of the flag and reading the flag script for the 13 folds. It was quite inspiring. Fortunately, the threat of rain proved to be unrealized, so the day’s festivities got off to a good, albeit cold start. Things started heating up both when the sun broke through the clouds and especially when the Slide Fire rig pulled into the lot. 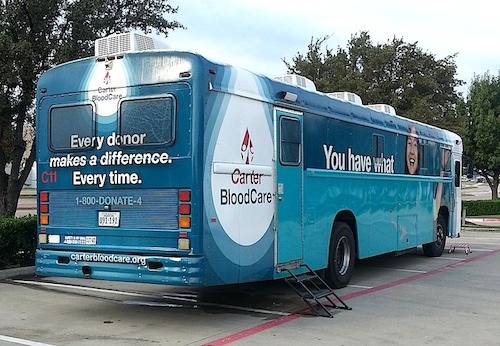 Carter Blood Care was also on site. 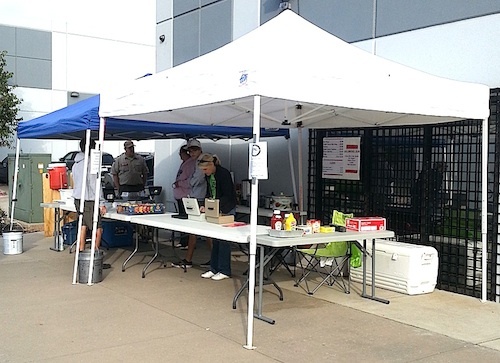 A local BSA troop sold food and drink to raise funds. The highlight of the day was the demonstrations from SilencerCo and Slide Fire. You could shoot anything from a .22LR to a .308 rifle, suppressed. I was quite impressed with the demo. No, they didn’t demo that one. 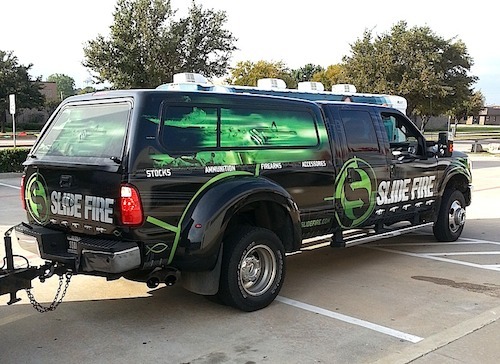 Slide Fire did, however, have their SSAR-22 package on site for visitors to try out. 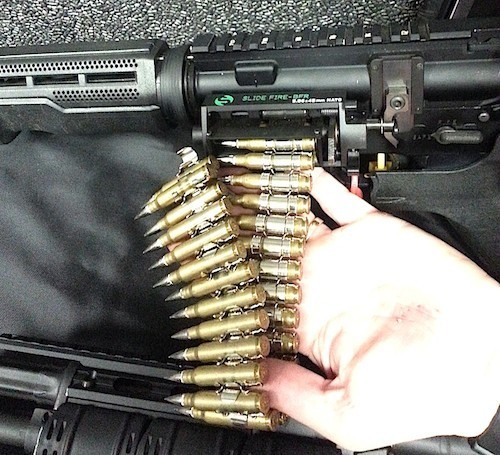 The Eagle RSO’s got a chance to fire a Slide-Fire equipped 5.56 AR-15. 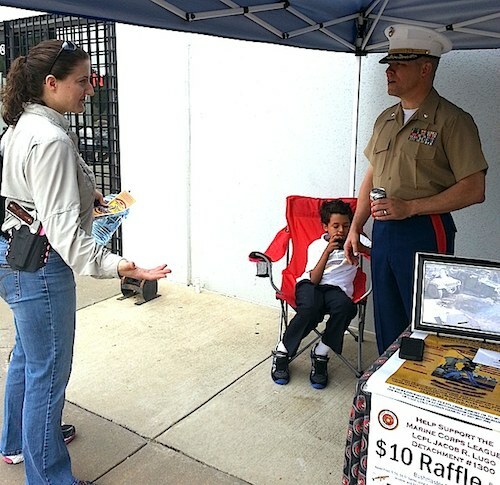 The Marines sold raffle tickets for a Bushmaster (winner to be announced at the Marine birthday celebration event). That Marine reservist was one of the coolest people I met during the three-day event. Semper Fi, my friend. Eagle had a laser training demonstration area open all three days. Two firearms, fitted with special laser training cartridges, were setup along with three targets. This was a great way to practice fundamentals and it was very well received by visitors. Even David Prince, the owner of Eagle, wanted to get in on the action. This was closer to a more normal day at the range, although the Boy Scouts and Marines were still on site. Both bays were open and it was a great day for practice. Far better than wasting emotional energy on the perennial buffoons known as the Dallas Cowboys. The day’s highlight was the 6PM grand prize drawing. Winners were not required to be present. And, there are the results. We had a hard time reading a couple last names, so initials are listed instead. Saiga-12 Slide Fire Stock: Steve K.
You can check out the photo collection for the entire event on my Flickr page. 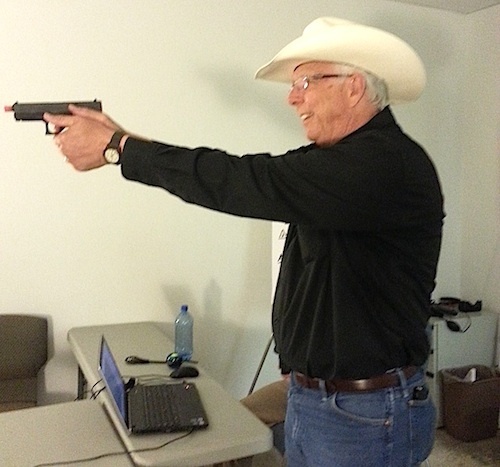 Thanks for spending part of your day at Texas Gun Show Review.